While our friends in other parts of the country are still dealing with snow, here in South Carolina it's starting to feel like spring! With the changing season, a brand new website feature: introducing Hub City Press News Round-up of all the fantastic things Hub City authors are doing out in the world. First up, Leesa Cross-Smith has continued to receive wonderful attention for her novel Whiskey & Ribbons which came out last month. This past week brought an interview in Salon and a review on Shelf Awareness. We're extremely excited to announce the foreign rights sale of Thomas McConnell's novel The Wooden King (which pubs May 1). It will be published by Moravska Bastei (MOBA) in the Czech Republic. Huge congratulations, Tom! We're super honored that THREE of our 2017 releases made the longlist for the Southern Book Awards, given annually by the Southern Independent Booksellers Alliance (SIBA). Congratulations to Brock Adams, Scott Gould and Hannah Palmer. David Joy (Gather at the River: 25 Authors on Fishing coming Spring 2019) has a stirring piece about guns in this week's New York Times Magazine, entitled "Gun Culture Is My Culture. And I Fear for What It Has Become." Congrats, David! "There is rarely a moment when I’m not within reach of a firearm. When I lie down at night, there is an old single-shot New England Firearms Pardner leaned against the headboard, a loaded Smith & Wesson M&P Shield pistol on the nightstand. When I sit on the couch to work on an essay or a novel, there is a CZ 75 pistol on the coffee table. When I go to town for groceries, one of those two pistols is concealed inside my waistband." Also this week brought a publication announcement: we will be publishing Esteban Rodriguez's first poetry collection in 2019. Esteban’s poetry has appeared or is forthcoming in The Gettysburg Review, Notre Dame Review, Hayden’s Ferry Review, New England Review, Washington Square Review, and Puerto del Sol. He lives in Austin, Texas. Brock Adams chats with Latria Graham in Spartanburg Magazine about Ember, and what it was like to publish a book set in Spartanburg, published in Spartanburg, while living in Spartanburg. Ashley M. Jones, author of Magic City Gospel, launched the Magic City Poetry Festival in Birmingham, Alabama this week. The festival will host events in different locations throughout Birmingham, including DISCO Birmingham, Studio 2500 and the Birmingham Civil Rights Institute and is sponsored by PEN America. Ashley's second collection, dark // thing, was selected by Marcus Wicker as the winner of the Lena-Miles Wever Todd Prize for Poetry and will be published by Pleiades Press next year. Michel Stone is this year’s winner of the Patricia Winn Award for Southern Literature from the Clarksville/Montgomery County Arts & Heritage Development Council. Previous winners include Sharyn McCrumb, Jim Squires, and Robert Hicks. Congratulations Michel! 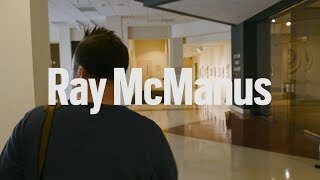 Ray McManus is one of the Richland Library's 10 South Carolina Poets to Watch. Ray has also recently been named the Columbia Museum of Art's inaugural Writer-in-Residence! Watch the video below to learn more.